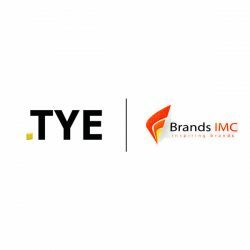 With businesses and organisations starting to demand a high level of precision and metrics-driven communication, advocacy, and outreach efforts, which are now becoming the expectation, Big Data solutions provider TYE Solutions has joined hands with Brands IMC, a communications and PR firm specialising in branding, content marketing and content distribution, to develop publicity and marketing campaigns for organisations that integrate data science with creative and strategic communications expertise. TYE Solutions and Brands IMC aim to utilise their partnership to pave the way for data-driven communication programs, where statistics spark creativity and data will drive more integrated communications decision-making, which will enable organisations to act more innovatively and with greater intelligence. Commenting on the partnership, TYE Solutions CEO Zahir Fuard said: “Looking at the future market landscape, Big Data must ideally form part of the communications strategy of an organisation, just as it is already doing in business strategies. In this way, an interpretation of data from a communications perspective will allow companies to better adapt their marketing campaign to attract the interest of their stakeholders and clients. For example, the analysis of data can allow for the identification of newsworthy events to communicate from a company, the understanding of which publications and messages achieve a higher level of engagement and of new consumer trends and forms of behaviour. Brands IMC Executive Director Thushari Bandara added: “We always seek partnerships that help us to drive optimal business results for our client’s communication needs. Together with TYE Solutions, we’re eager to advance the role data plays in helping our clients communicate more effectively, and respond in the right manner to the different demands of their target audiences. The infusion of the latest innovations in data-mining, predictive modelling and analytics will go towards allowing us to design communications strategies and tactics for our clients that are smarter, more targeted, and more effective.